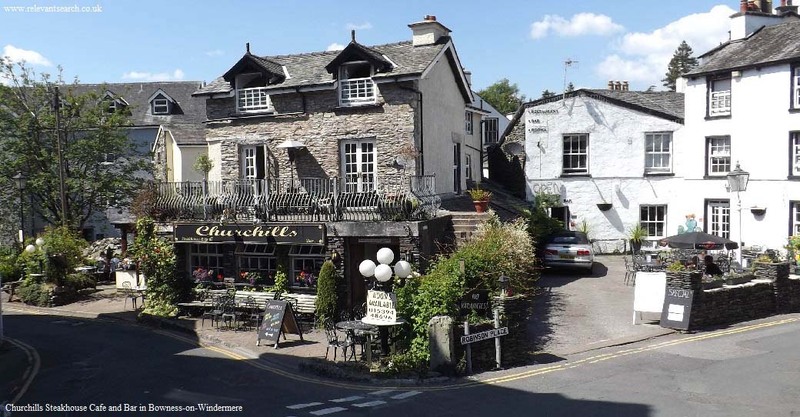 Below is a list of Bowness on Windermere Restaurants in England with Tel Numbers, Websites, Images and links to Maps and Reviews. The eateries in this list include Restaurants, Bar Diners, and Cafes. 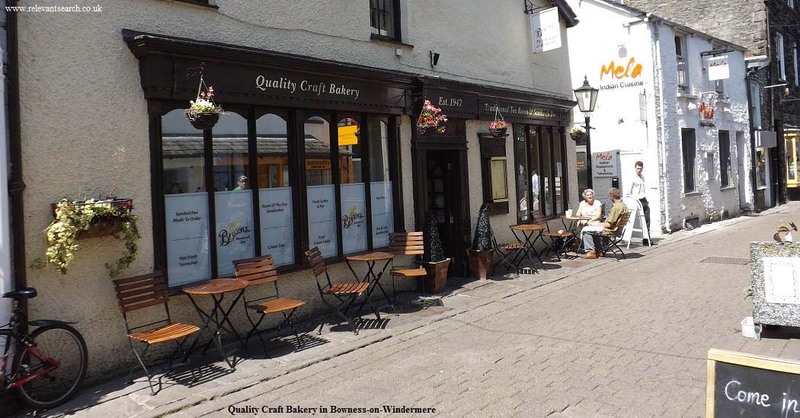 Bryson's Quality Craft Bakery in the town centre on Ash Street. Tea room that serves homemade baking and a range of refreshments from light snacks to full meals. Tel: 01539 488 726. Churchills in the town centre on Robinson Place. Serves the finest homecooked food that is made freshly to order. Tel: 01539 448 696. Porto Restaurant in the town centre on Ash Street. A more refined dining experience that serves freshly prepared food from local ingredients, excellent service, and a great choice of wines and ales. Tel: 01539 448 242 . Postilion in the town centre on Ash Street. Restaurant that serves food made from the freshest ingredients in relaxed and comfortable surroundings. Tel: 01539 445 852. 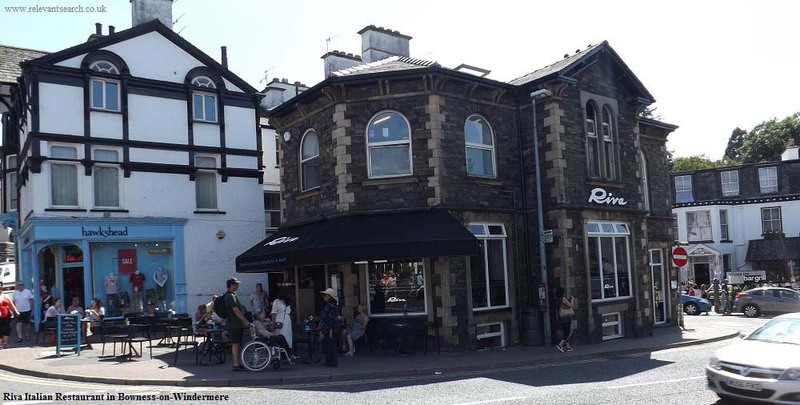 St Martins Tea Room & Grill in the town centre on St Martins Parade. Tea room that serves homemade cakes and has great service and a friendly atmosphere. Tel: 07789 545 309 . 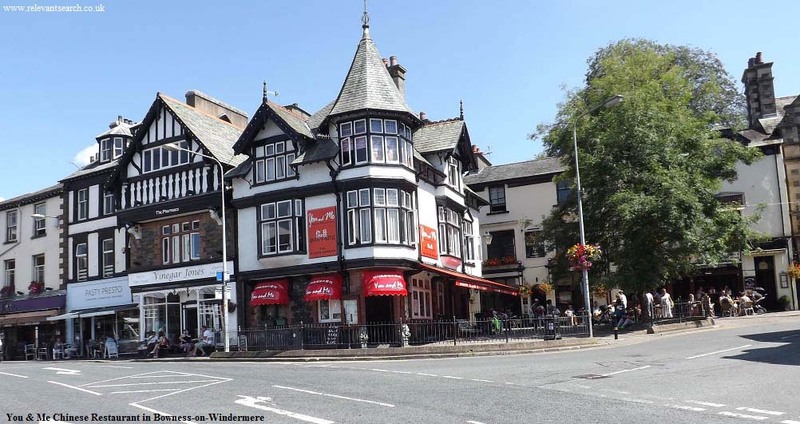 Sutherlands Restaurant in the town centre on Rayrigg Road. Serves traditional pub fare. Tel: 01539 443 332. The Old John Peel Inn in the town centre on Rayrigg Road. A family friendly atmosphere with good traditional home made food, varying guest ales, traditional ales and good service. Tel: 01539 422 063. The Spinnery about 350 yards east of the town centre on Brantfell Road. Restaurant with a big choice of dishes and has great service. Tel: 01539 442 756. The White House in the town centre on Robinson Place. For sale in late 2017. Tel: 01539 444 803. Village Inn in the town centre on Lake Road. 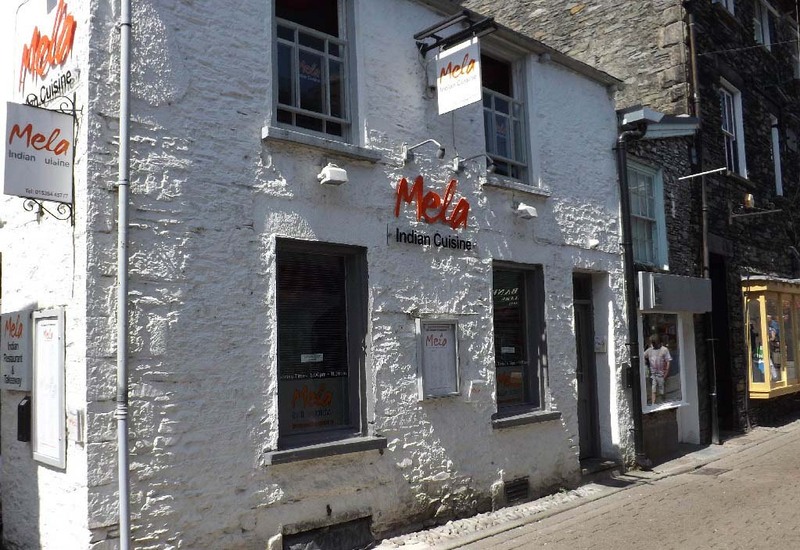 Great quality food, extensive menu, fast and friendly service and has a great atmosphere. Tel: 01539 443 731. You & Me in the town centre in Royal Square. Chinese Restaurant that is well worth trying, welcoming atmosphere and is good value for money. Tel: 01539 445 510. Mela Spice Fusion in the town centre on Ash Street. Fantastic Indian Restaurant with wonderful food, great service and a friendly and welcoming atmosphere. Tel: 01539 445 777. Caffe Riva in the town centre on St Martins Place. Italian Restaurant that brings the heart and soul of Italy, and offers simple and elegant food. Tel: 01539 423 232. Villa Positano in the town centre on Ash Street. Friendly Italian Restaurant with great food and an excellent service. Tel: 01539 445 663. Bodega Tapas Bar In the town centre on Ash Street. Rustic-style bar that serves traditional tapas, beer and wine. Tel: 01539 446 825.